Xalibu's ultimate powder ski, the Hog’s Back is inspired by one of the most beautiful ski areas in Chic-Chocs, “Mount Hog’s Back”, and more precisely its most popular run, “the Grand Corridor”. These are the ultimate freeride skis. Early rise on both the tip and the tail will guarantee maximum flotation and fun during huge snow dumps. The camber will provide great stability while preventing you from being bounced around on hard pack! 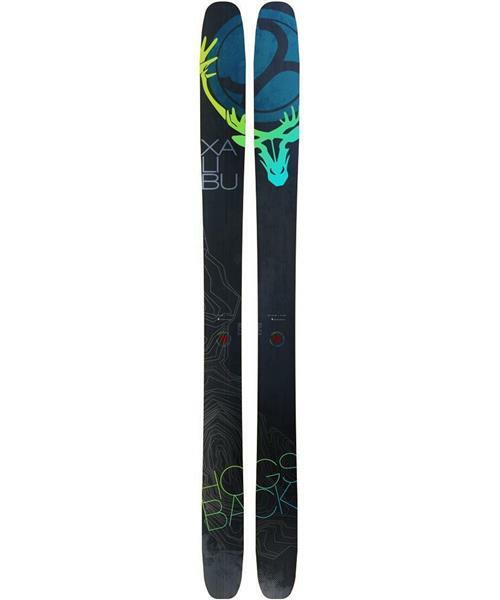 All of Xalibu Ski's are 100% made in Quebec. * Anti-vibration layers for better control and softer ride?